How do I access my VIP Videos? 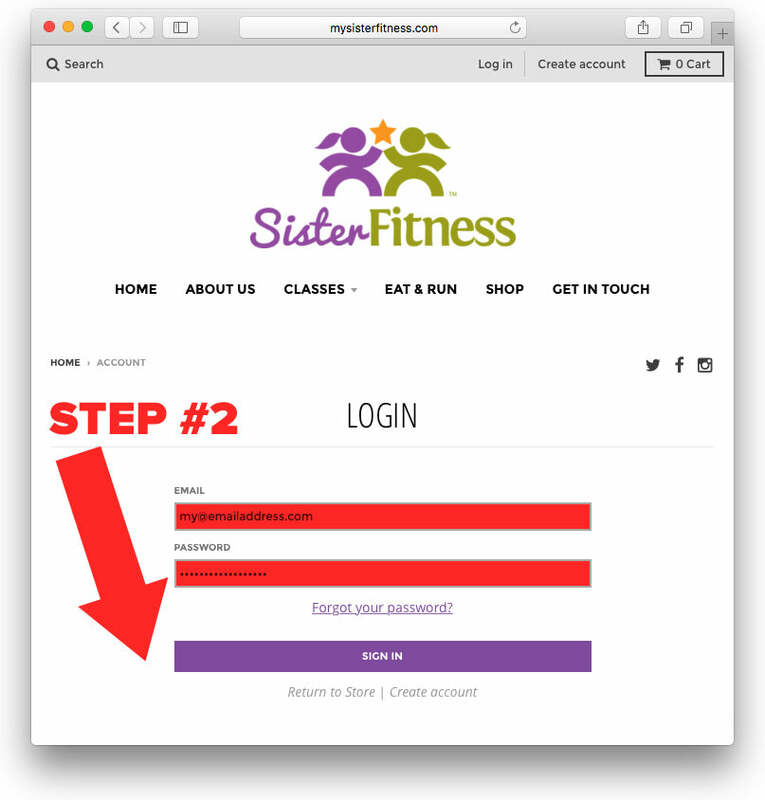 Step #1: Log in to your customer account. 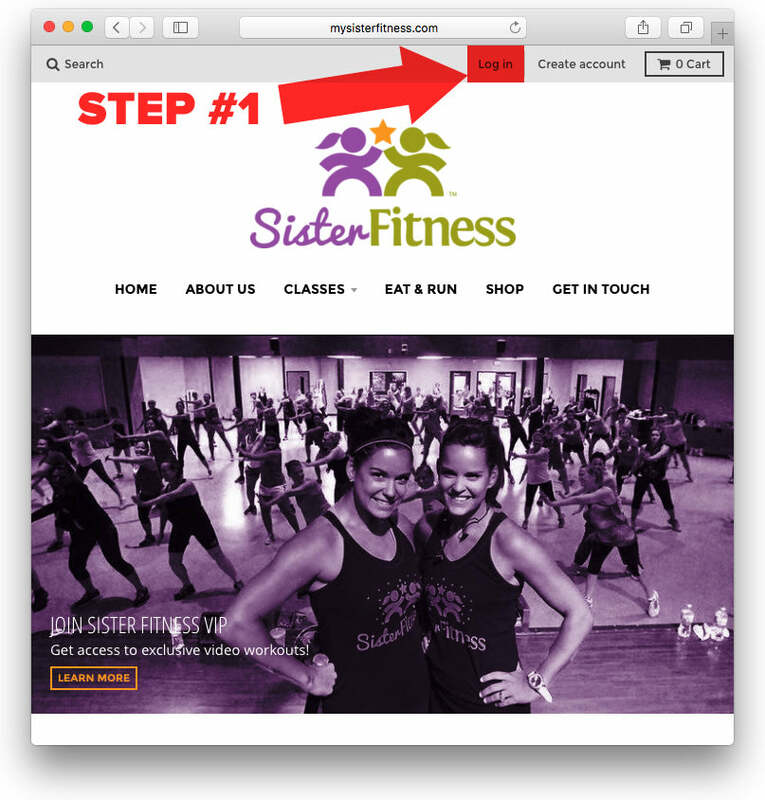 Step #2: Enter your email address and password. Then click the purple "SIGN IN" button. 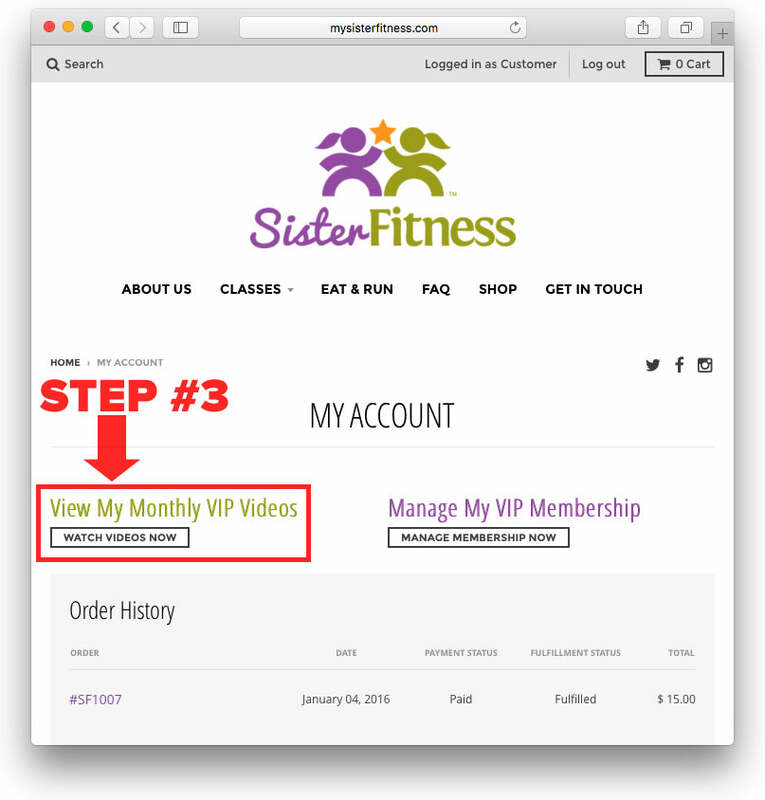 Step #3: On your My Account page, click the button that reads, "WATCH VIDEOS NOW". How do I cancel/update my VIP Membership? 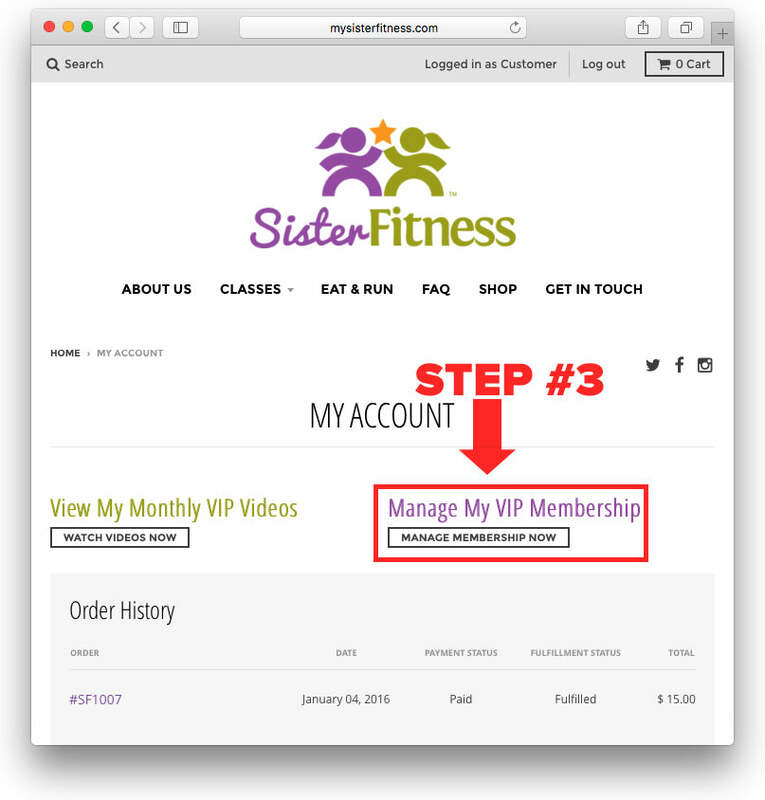 Step #3: On your My Account page, click the button that reads, "MANAGE MEMBERSHIP NOW". 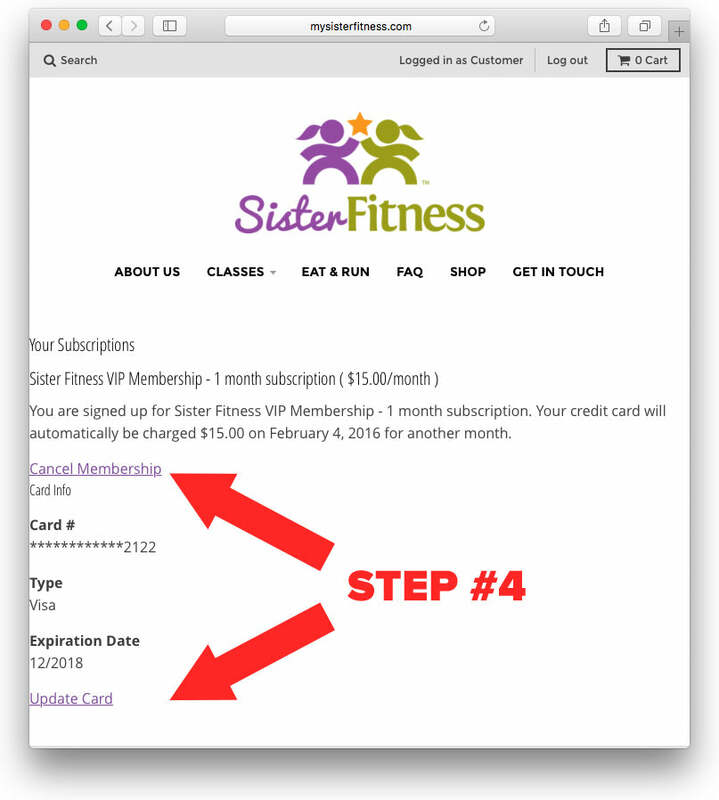 Step #4: On your Subscriptions page, you can click "Cancel Membership" to end your VIP subscription or "Update Card" to change your payment information. © 2019 Sister Fitness. All Rights Reserved.